There are many causes behind the epidemic of opioid abuse in the U.S., but chief among them are the unscrupulous drug manufacturers and suppliers who turned a blind eye to their products’ addictive potential for the sake of profit. On Tuesday, the House Energy and Commerce Committee, as part of its ongoing investigation into the crisis, called out two of these companies by name. 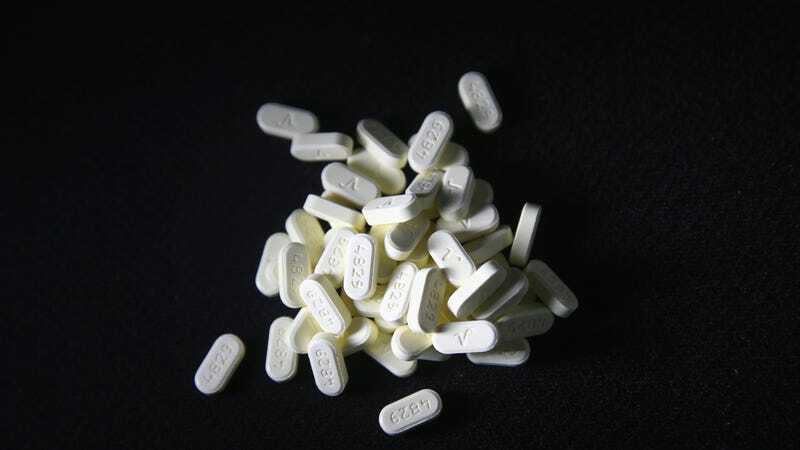 The committee found, among other things, that the small West Virginia town of Williamson—with only 2,900 residents—was flooded with more than 20 million hydrocodone and oxycodone pills from 2006 to 2016. The drugs were shipped to just two pharmacies, four blocks apart, with more than half sent by two regional distributors based outside of the state, Miami-Luken and H.D. Smith. Last week, the committee sent out letters to both companies, demanding to know why the surge in demand never raised a red flag for either. The letters were made public today. “These numbers are outrageous, and we will get to the bottom of how this destruction was able to be unleashed across West Virginia,” committee Chairman Greg Walden, R-Ore., and ranking member Frank Pallone Jr., D-N.J., said in a joint statement. The investigation is only the latest to show how West Virginia, one of the states hit hardest by the crisis, became so glutted with prescription opioids. An investigation by the Charleston Gazette-Mail found in 2016 that almost 800 million hydrocodone and oxycodone pills were distributed throughout the state’s pharmacies from 2007 to 2012—a figure all the more astounding given that the state has only 1.8 million residents. As of 2016, West Virginia had the country’s highest rate of opioid overdose deaths. The U.S. as a whole saw more than 40,000 deaths caused by opioids in 2016. West Virginia has started to fight back, though. Following the Gazette-Mail report, county attorneys sued several drug distributors and manufacturers, including large retailers like CVS and Walgreens, for not flagging and stopping suspicious drug orders made by pharmacies and doctors. H.D. Smith, meanwhile, settled a lawsuit with the state in 2016 for $3.5 million over similar allegations, ending a four-year legal battle that began in 2012.